If you’d have asked me my thoughts on American Farmhouses before reading this book, I wouldn’t have had much to say on the matter. 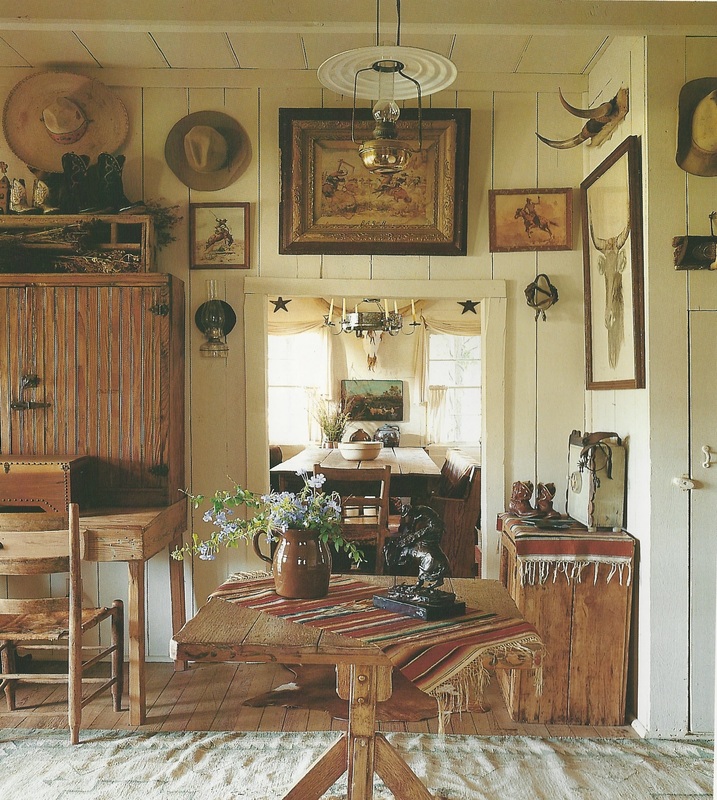 I would have guessed their interiors a little too twee and traditional for my taste, but after having a good look through American Farmhouses by Leah Rosch it’s fair to say that I’m rather taken with the style and persona of Farmhouses, as there is so much more that meets the eye. 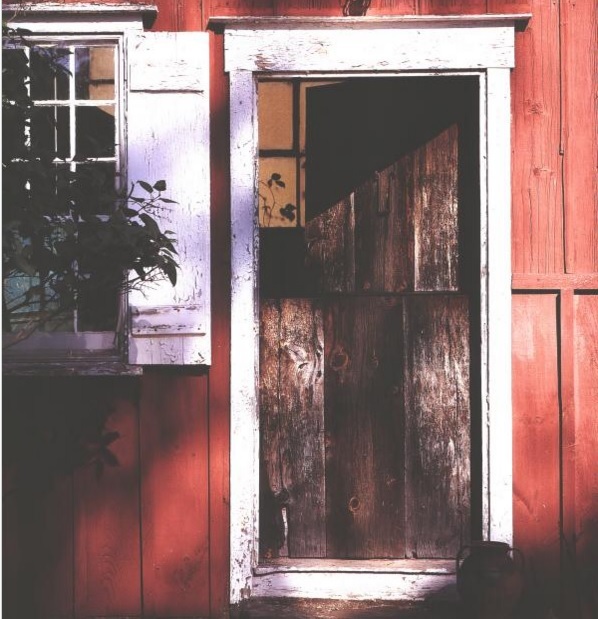 As Rosch writes, “few history books capture the story of America’s past as vividly as the farmhouses that fill our countryside”, and it’s true. Inside this book are some absolutely stunning properties full to brim with history and American culture, with a wonderful nostalgic essence to each and every one. 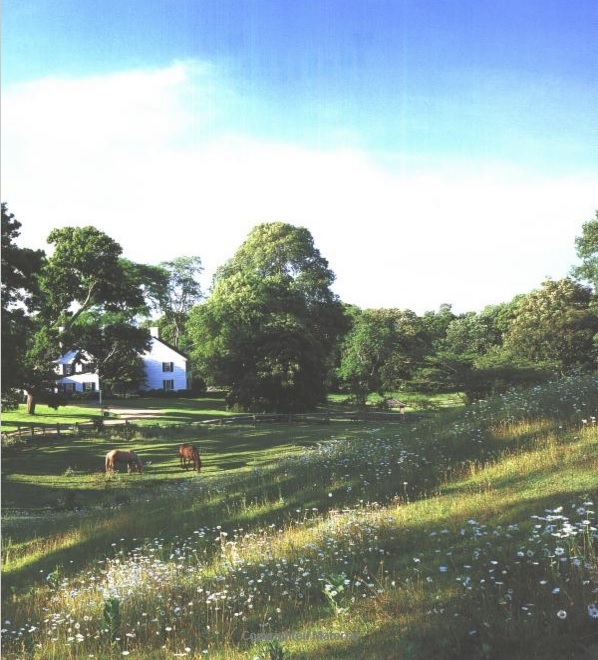 There is a beautifully charming aspect to the concept of an American Farmhouse, it epitomizes the idea of the ‘American Dream’ and unveils a simplistically romantic view of a laid-back life surrounded by the sunny countryside. If you’re a fan of classic, traditional interiors and are always on the lookout for inspiration for your own home, this book is full of interesting and unique ideas, I’ve picked out a few features in the book that really stood out, and have a simplistic air of elegance and rustic vintage-ness that could be worked into your own interiors. 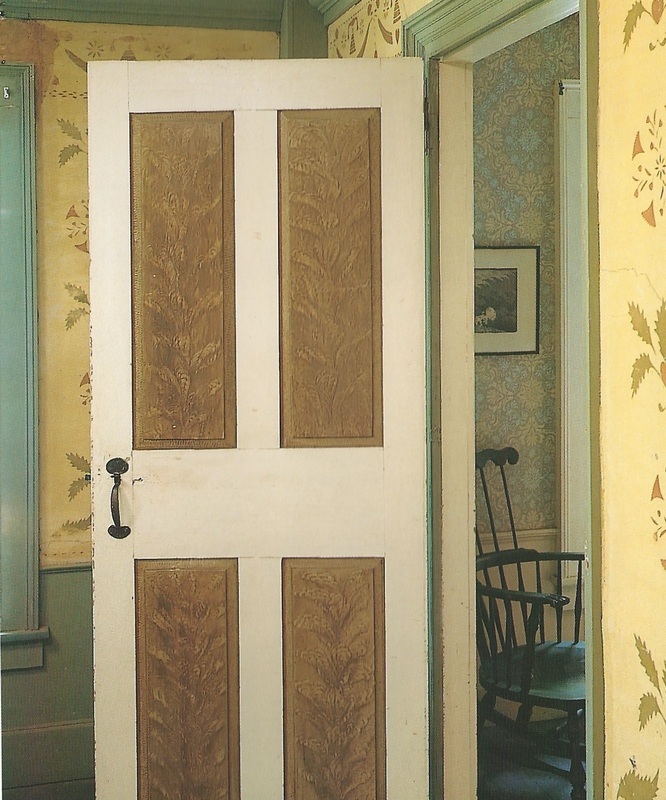 Stencilling and attention to detailing became a must have features in many Farmhouses across New England and the Mid-Atlantic states. It’s a beautiful way to spruce up a home, whilst adding some individuality to a home. I also love the detailing on these grained doors in the photo above, the foliage patterns on the four panels accompanied by the white border creates a wonderfully rustic look and would make a lovely addition to a country home or cottage. To save space, box staircases were created in Farmhouses, they would be situated between the chimney and the parlour wall, and doors would be added to avoid getting a draft through the house. While their initial function was practicality, the addition of the door also creates a delightful aesthetic, I adore the example above with the wonderful blue/green colour, and uneven steps to match the slightly wobbly doorframe. 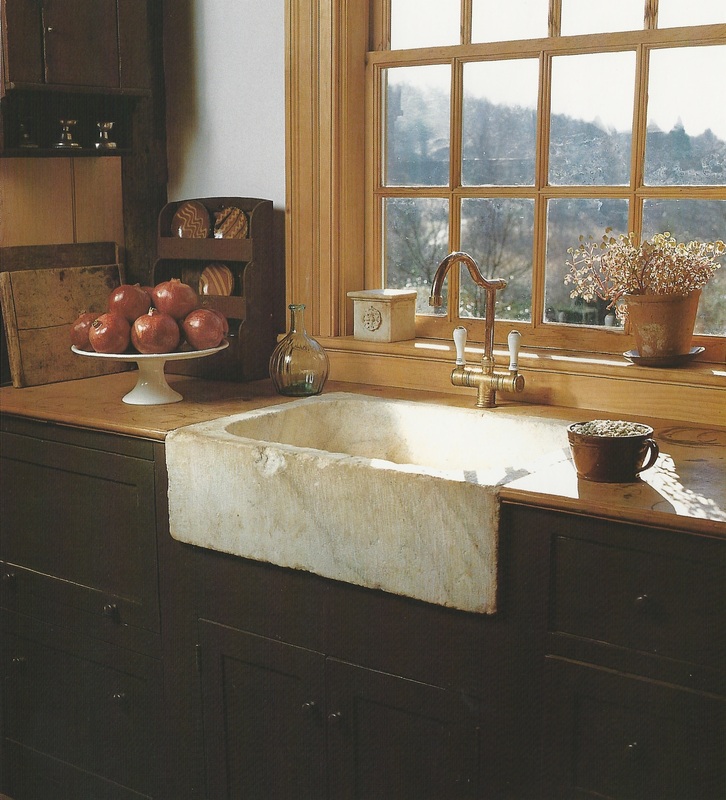 American Farmhouses features both original and renovated features, and a renovated kitchen particularly caught my eye, the house’s authenticity has been beautifully maintained in the period style cabinetry and window, and the inclusion of an antique apron-style marble sink is absolutely stunning, a real feature piece. This original eighteenth century wallpaper is complete perfection and is the something that modern companies and designs are constantly trying to replicate. Its flawlessly faded antiqued colour and the sweet little scenery pattern are wonderful features and give the whole look of the room a special touch. 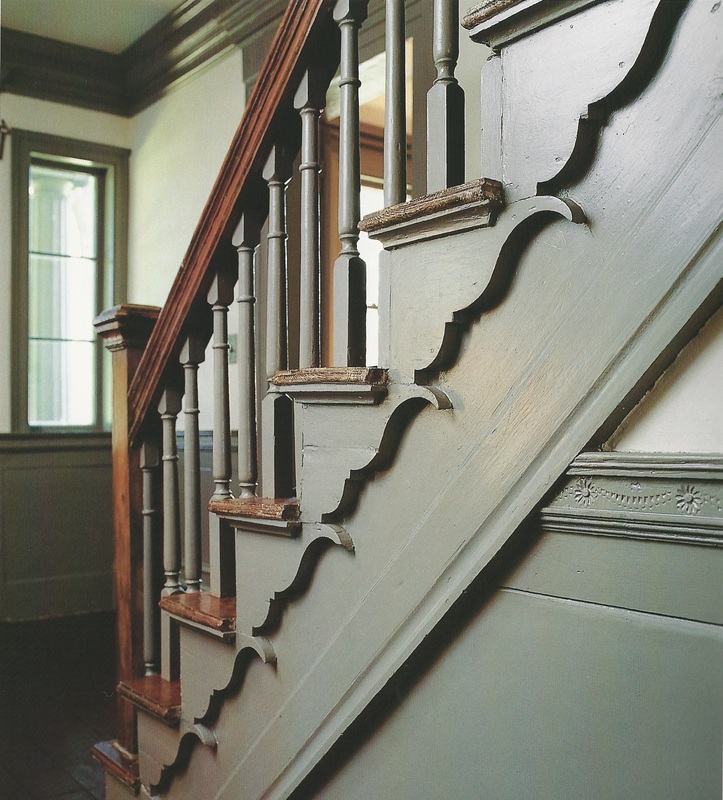 There’s a wonderfully elegant nature to this Colonial staircase and its gorgeous carved details, the delicate daisy detail along the railing is sweet without being sickly, due to the well thought-out colour choices that gives the whole scheme an elegant look. 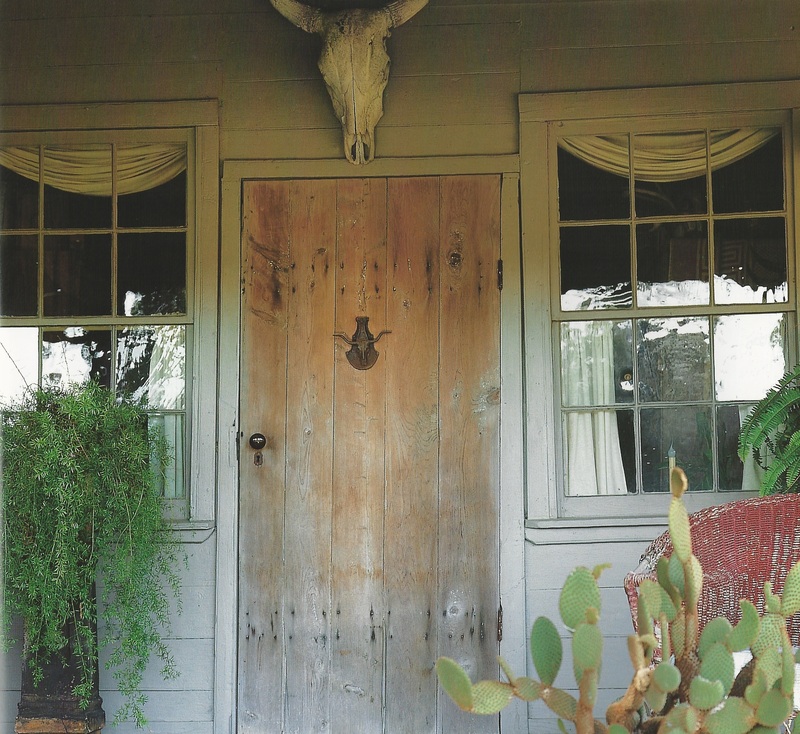 This Texas home keeps its State as its design motif, the bull skull placed above the entrance way is not to everyone’s taste, but works perfectly in sync with the atmosphere and look of the house, coordinating well with metal door knocker below, which is in the shape of a longhorn bull, paying homage to the mascot of the University of Texas. In the interior, the relationship between the natural materials and the collection of paintings and hats on the wall creates a comfortable setting that meets both the needs of practicality and authentic style. What’s so lovely about the concept of a Farmhouse is that though they were all built with the same function in mind, and their exteriors tend to follow the same line of thought, their interiors vary in great amounts. 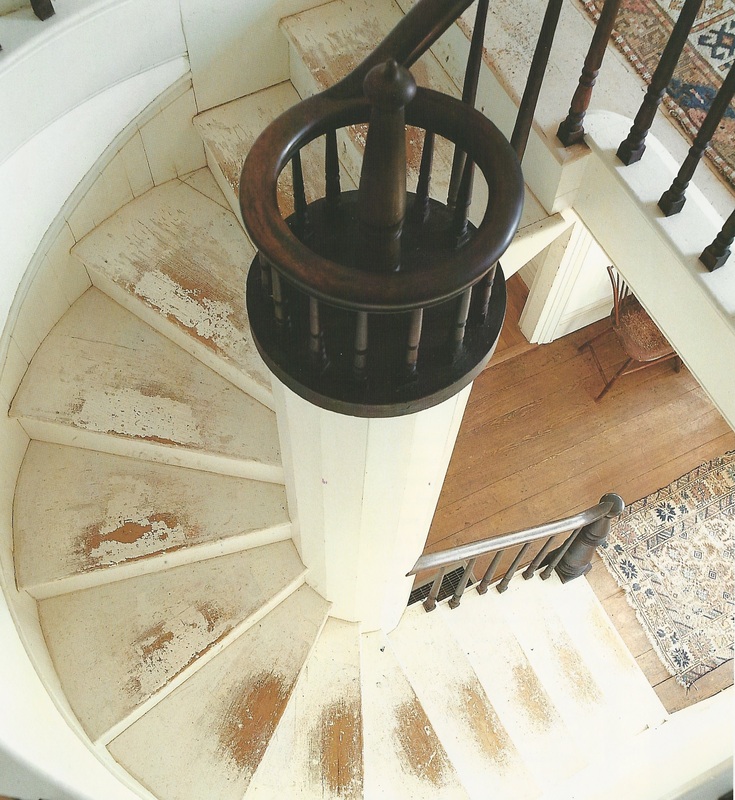 This beautiful staircase follows a nautical motif, following the “inventive spirit of the times” and is distinctively unique. 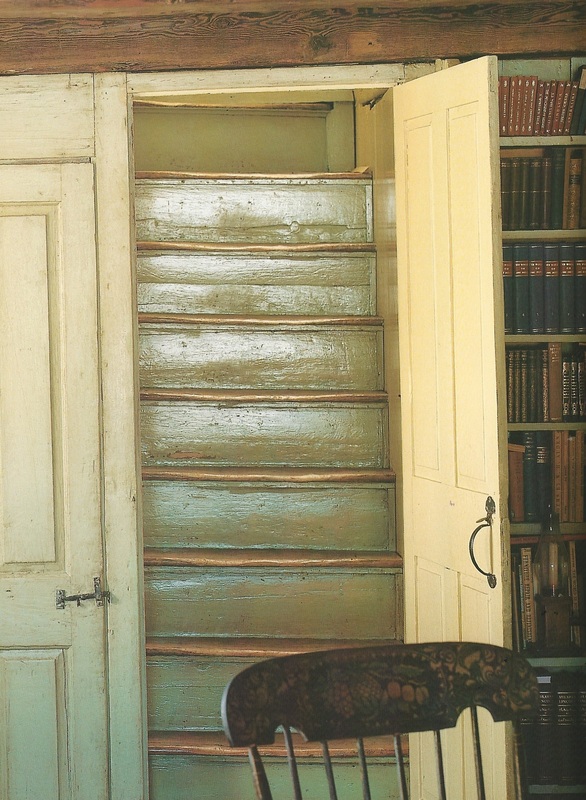 The faded paint on the stairway are the ghosts of the footsteps that have gone up and down and are a beautiful reminders of the rich history of the old Farmhouse. Finally, the simple yet extremely effective style of this cupboard gives this room an abundance of character and warmth, offering up a small dose of laid-back elegance in a classically sophisticated scheme. 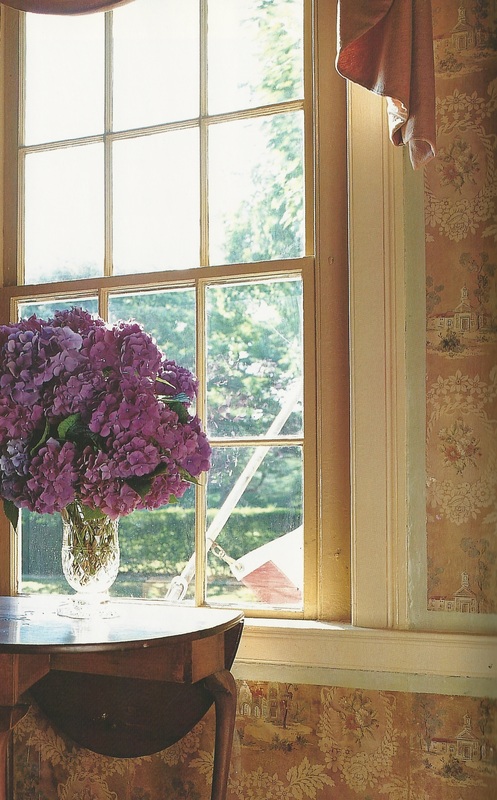 For inspiration, intrigue and a lovely history lesson, American Farmhouses is simply wonderful.